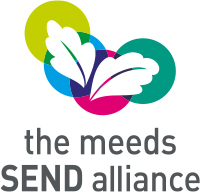 London Meed is an inclusive school. We will try to include all pupils in all activities they wish to join in with be they clubs, team sports or trips. In the SEND Code of Practice the government say that schools must ensure that children with SEN engage in the activities of the school alongside pupils who do not have SEN. There will be occasions where for one reason or another we will have to make special provision to make sure a specific child can be included in a given activity. Because of this, it does mean that a pupil may have a slightly different experience to others: they may use different equipment, different travel, or different adult ratio. However, without these reasonable adjustments it might not be possible to include them at all. On occasion there might not be a reasonable adjustment that can be made to an activity to ensure it is accessible to all pupils. On any such occasions there will be a careful consideration of the risk with parents, to make sure that we haven’t overlooked anything.